Attorneys for Adoptions, Business, Civil Litigation, Criminal Law, Domestic Relations, Family Law, Mediation, Municipal Law, Real Estate, and Wills & Estates. SATURDAY AND AFTER HOUR APPOINTMENTS AVAILABLE UPON REQUEST. Call today 937-898-3975. At the law firm of MOORE & ASSOCIATES, we take a professional approach to problem solving and are committed to providing outstanding quality legal services at a cost-effective price. Our attorneys have highly developed skills and experience in our practice areas of law. We always strive to exceed our client's expectations through uncommon caring and personal attention. We practice primarily in the Montgomery, Greene and Miami counties of Ohio. Our practice has expertise in Adoptions, Business, Civil Litigation, Criminal Law, Domestic Relations, Family Law, Mediation, Municipal Law, Real Estate, and Wills & Estates. Joseph Moore has been a Prosecutor, a Public Defender, the Law Director for two cities, an instructor and continuing education speaker at the Dayton Area Board of Realtors. The attorneys have had much success in helping families through the intricacy of a divorce and through the sensitivities of custody cases. Brian Huelsmans diversified experience can help you with almost any legal problem you may have. Our skilled attorneys help you through each aspect of your case. 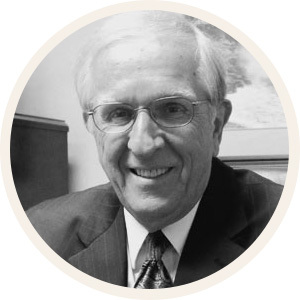 Mr. Moore has been an attorney since 1974. He has had an office in Vandalia, Ohio for over twenty (20) years focusing on wills, estates, domestic relations, real estate and misdemeanor criminal cases. He was the Law Director for the City of Tipp City, Ohio until he retired in 2011. He is currently the Law Director for the City of Union in Montgomery County, Ohio . He was a partner of Sunderland & Moore until David Sunderland left the firm to become a Montgomery County Common Pleas Court Judge. Mr. Moore graduated from Purdue University where he received his Bachelor of Arts Degree. He received his Masters Degree from Ball State University and thereafter graduated from the University of Louisville Law School. 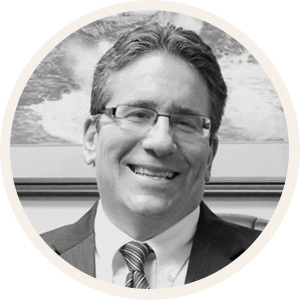 Brian has vast experience in criminal law as a former prosecutor and public defender. Brian has been successfully involved in trial litigation involving: Real Estate Law, Domestic Relations, Contract Law, Municipal Law, Probate Law, Juvenile Law and other matters involving civil actions. Brian is well versed in appellate litigation and has been successful in various Court of Appeals in the state of Ohio. Brian is member of the Ohio State Bar Association, and the Greene County Bar Association. Brian is involved in civic matters in his community and is on the budget review committee in the city in which he resides. He also coaches his daughter in basketball and is an adjunct professor at a local college. 262 James Bohanan Memorial Dr.